One of our travel highlights – The Chobe River Cruise! 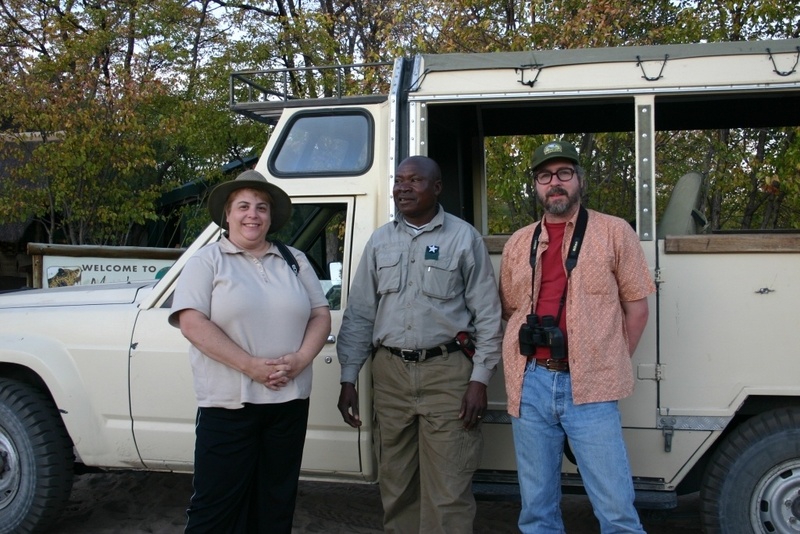 The first real safari we did in southern Africa was at the Chobe National Park in northern Botswana. 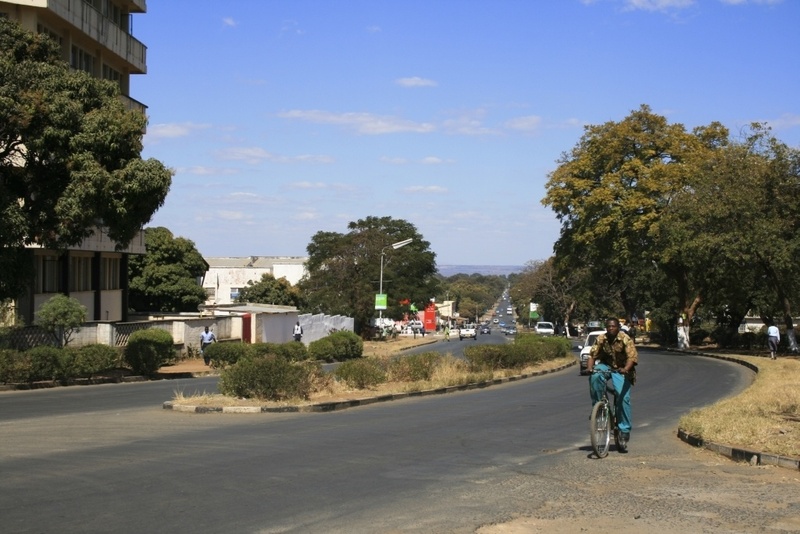 We had flown in to Livingstone and spent a few days visiting Victoria Falls and other small parks in that area and then taken a ferry across to Botswana where we shuttled to our lodge in Kasane outside of Chobe. The first day in Chobe we were eager to get into the park but wouldn’t pick up our self-drive rental truck until the next day. So we opted for a sunset river cruise, offered through our lodge, with low expectations. We had focused on the words river-cruise and were envisioning long, crowded river cruise boats with 50 or 60 fellow “adventurers” all jockeying for position along the rail trying to spot wildlife that had likely spotted us coming down the river and already fled to quieter locales. The truth, however, far exceeded our expectations. We did see some of those larger boats plying the lower river, but only the smaller, pontoon boats could travel any distance up the river and into the park. This river cruise was actually more of a water safari. There were only twelve of us on the boat including the driver/guide and everyone had a prime seat for viewing. I didn’t know it at the time, thank god, but I nearly lost my life on that trip. The boat had swung close to the grassy wetlands bank of the river to look for puku antelope as this is the one place they can be seen in Botswana. We were all poised with Canons and Nikons at the ready and I was in a prime seat at the edge of the boat (in fact I had been able to keep cool in the spray coming up from the prow and had even considered going against the guides orders and splashing my hands or feet in the water). 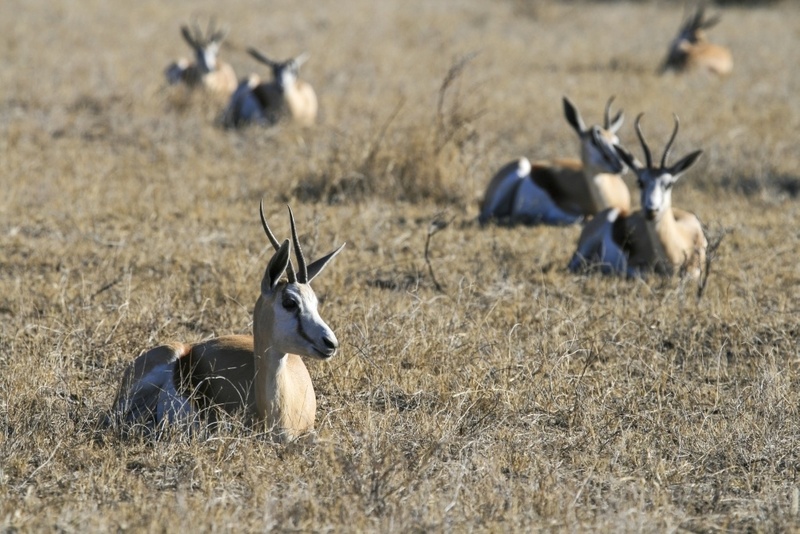 The boat slowed even more as someone spotted an antelope further in the deep grass. Our guide spotted it in his scope and was telling us it just a common antelope while throttling up the engine and getting us moving again. Shortly after, we had to slow again, this time for the majestic elephants swimming across the river, trunks snorkeling and blowing water the whole way. The photos from that encounter were amazing and the guide was very careful to give the herd a wide berth while keeping us positioned for perfect viewing. I can guarantee at least one of us was sitting well in from the edge of the boat despite the amazing scene taking place a few meters away. For an awesome place to stay outside of the park, try one of the fastastic Chobe Lodges. This was our favorite accommodations on the entire trip. The thatched roof cabins were beautiful and super comfortable and the restaurant was superb! 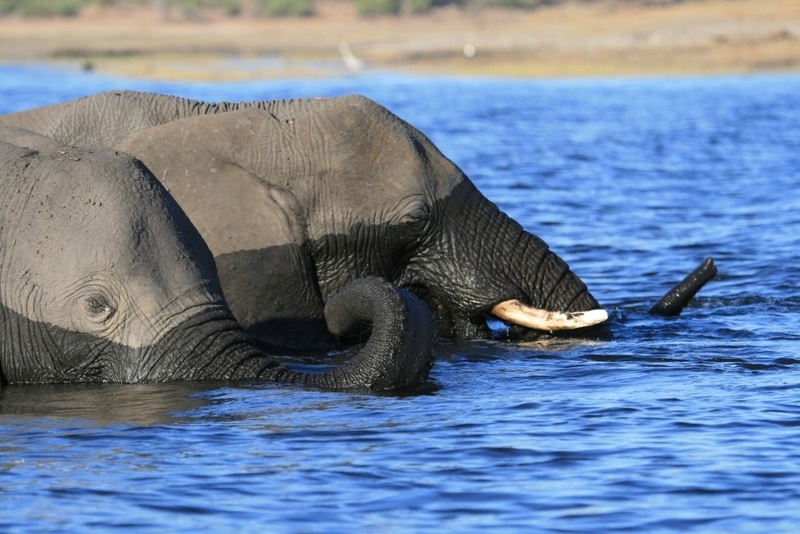 Have you been to Chobe National Park? Did you do the amazing river cruise? We’re going to do this one day, and watch out for those hippos. Why are they so nasty anyway? Tom, This particular hippo was startled by the boat. He wasn’t happy, and Jim was almost not happy. Do it. It’s pretty awesome stuff! Wow – it all sounds amazing (apart from that bit about near death and all)! I am kinda obsessed with elephants – aren’t their trumpets and sounds so amazing! Lovely shot of their faces half wet. I can’t wait to get to almost anywhere in Africa one day! Katie, It was an amazing experience. I’d read mixed reviews, but we loved it. Mike, It was pretty scary! But it happened rather early in our boat trip and didn’t ruin anything…it just meant we were all really in the wild! I did that same Chobe river cruise and imaged the same thing – boat loads of tourists everywhere, but it was quite the opposite. Such an awesome experience and we got so close to the elephants! Lynda, It was a wonderful experience. Watching the baby elephants swimming across the river is forever etched into my memory.